Inspired by PeppersGhost's Chicago Spirit, and Taffeta's To Be Noir Not To Be. You are sick. You are broken. We will fix you. HAMLET: I am no longer moody. [SCP-3043] Murphy Law in… Type 3043 — FOR MURDER! Forget it, Fred. It's Chinatown. …witnesses provided confirmation that instances of SCP-3057-4 did, in fact, have feathers. That was a pretty crazy summer, y'know? Sometimes I really miss that place. NOTE: No method for accomplishing this trick is provided. High art carries high risk! Whatever it takes, do what you must; whatever the cost, come back to us. Thank you for choosing Izatova Parking Center. Have a pleasant day. Mr. Blair, have you always been an only child? Throw them back into the incinerator where you found them. [SCP-3143] Murphy Law in… The Foundation Always Rings Twice! When it comes right down to it, me — them — hell, even you — we're all just characters in that trashy dime-store novel called life. Remember how we explained that successful people don't actually need any of their toes to walk? Well, that's going to come in handy for Secret Number Six. I'm not talking to you. Hey, guys? I'm, uh. I'm using this. Should it prove feasible, all non-canonical corpses are to be extracted, examined, and catalogued. It makes me wonder what an old monster like myself is even doing here, anymore. And then? Someone special comes along and reminds me. Notably, no reports describe any attempt to examine the residence's storm cellar. Justine eventually re-unites with her sister, Juliette. Alonso strikes down a lightning bolt intended for them both, then challenges the narrator to a duel. [SCP-3546] Doggone it, I Fold! Specifically, fan-art of Sonic the Hedgehog, a video-game character produced by Sega in 1991. Despite multiple reports from neighbors who claimed to have witnessed members of his family standing at the windows, no trace of Theodore Holdstock's wife and children could be found. SCP-4054 is The Seventh Door, an unlicensed platform adventure game released for the Nintendo Entertainment System in 1988. Vaughn L. Kaminski; recovered from a 1921 edition of Great Expectations. Special Containment Procedures: Foundation personnel embedded in literary and academic circles are to be briefed on SCP-3138; they are to report any fictional work discovered to deviate from its canonical number of human corpses. A Foundation-operated bot (I/O-MANDELA) is to monitor websites and online communities centered on discussions of printed media; discussions regarding books that describe more human corpses than previously expected are to be flagged for review. Upon discovery, any printed work of fiction suspected of being affected by SCP-3138 is to be recovered and reviewed by MTF Rho-1 ("The Professors"). Should it prove feasible, all non-canonical corpses are to be extracted, examined, and catalogued. Otherwise, affected works are to be kept on-site in a secure locker. Access is restricted to Level-4 personnel. Description: SCP-3138 is a phenomenon involving the insertion of human corpses into a printed work of published fiction. The work must convey a narrative capable of recognizably describing the presence of a human corpse. Inserted corpses will be depicted in a manner suited to the work; for example, a corpse inserted into a poem relying upon a particular rhyming scheme will be described via this rhyme scheme. Extraction of inserted corpses can be accomplished by destroying the work or editing it to remove the depiction of a corpse. Should this occur, all erased corpses will immediately emerge from the text in question. 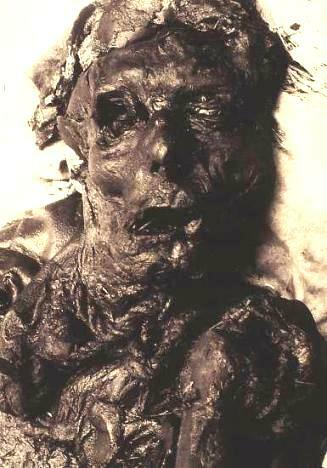 Notably, corpses that emerge during these events are non-anomalous, and show signs of decay reminiscent of extended submersion in an acidic environment. The method by which SCP-3138 is accomplished has yet to be determined. SUBJECT: A 1921 paperback edition of Great Expectations by Charles Dickens. very drily. ‘But he is accused of it. So might you or I be. ‘Only neither of us is,’ I remarked. knew beforehand, quite as well as he. I then rejoined Mr.
by the information I had received, accepted his offer. hung up on the bare walls, their attire dark and unusual. NOTE: Of the three recovered corpses, only one could be positively identified: Vaughn L. Kaminski, an accountant with known ties to Henry Earl J. Wojciechowski1. An autopsy concluded that all three corpses died as a result of pulmonary aspiration. SUBJECT: A 1925 edition of The Great Gatsby, by F. Scott Fitzgerald. butler, gardener, and I, hurried down to the pool. of compass, a thin red circle in the water. NOTE: Of the six recovered corpses, only four could be positively identified. All were known associates of Alphonse Gabriel Capone2. An autopsy concluded that all six corpses died as a result of pulmonary aspiration. SUBJECT: A 1912 edition of Collected Poems by Edgar Allan Poe. With the corpse of Beverly Queen. NOTE: Although the recovered corpse could not be conclusively identified, it was determined to be that of an adolescent female. In 1932, a missing person report was filed with the Chicago Police Department for Beverly Queen — a 17 year old female living with Richard Chappell3. An autopsy concluded that the corpse died of pulmonary aspiration. 1. AKA Hymie Weiss; a notorious mob boss active in Chicago during the 1920s. 2. AKA 'Scarface'; a notorious mob boss active in Chicago during the 1920s, as well as the co-founder and leader of the Chicago Outfit. 3. A co-founder of the Chicago Spirit, an anomalous criminal organization active in Chicago during the 1920s.